Yorkshore Sales & Marketing was founded in 2002 and has grown to become one of the largest commercial flooring distributors in the country. We have been serving the state of Florida for over 16 years now and have recently expanded to include Alabama, Georgia, South Carolina, Maine, New Hampshire, Vermont, Eastern Massachusetts, and Rhode Island. Our focus is on providing dedicated customer support and carrying top of the line high performing flooring products. We work alongside project managers, general contractors, architects, and designers to recommend and supply flooring solutions in healthcare, commercial, education, and corporate industries. Our team of flooring experts are available for your assistance to help with any flooring related questions. From choosing the right colors, materials, width, or even adhesives, we are there with you every step of the way and can provide years of invaluable experience on best industry practices and methods. 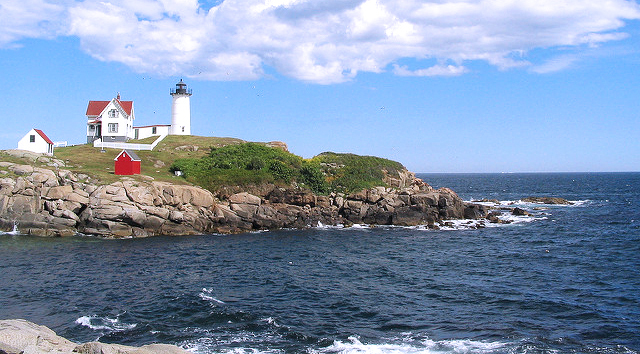 In 1874 Congress appropriated $15,000 to build a light station at the “Nubble” in York, Maine due to numerous boating incidents. Construction finished in 1879 and was dedicated by the U.S Lighthouse Service. The Cape Neddick Lighthouse, also known as Nubble Light, is located 100 yards off Cape Neddick Point. Nubble Light was automated in 1987 and is still in use today, standing tall as a famous American icon. In addition to being one of the most photographed and visited lighthouses in America, NASA sent a picture of it—alongside photos of the Great Wall of China and Taj Mahal—into space when it launched Voyager II in the event they encountered extraterrestrial civilizations. The Nubble lighthouse not only serves as a beacon of light, but is also a great symbol for strength and security.